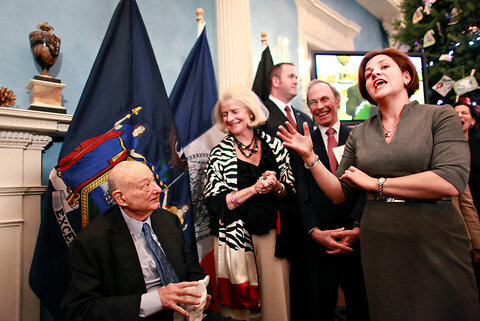 On December 12th, Jim Capalino, CEO of Capalino+Company, helped organize an 88th birthday party for former Mayor Ed Koch. The event had over 200 people, many of whom were alumni of the Koch Administration. Also in attendance were Mayor Michael Bloomberg, former Senator Al D’Amato, Speaker Christine Quinn, Public Advocate Bill de Blasio, Manhattan Borough President Scott Stringer and Brooklyn District Attorney Charles Hynes.